This is your chance to own an amazing special edition Corvette. There were only 500 of this 2018 Corvette Z06 Carbon 65 Edition made for the U.S. market. Purifoy Chevrolet has just received one to sell! 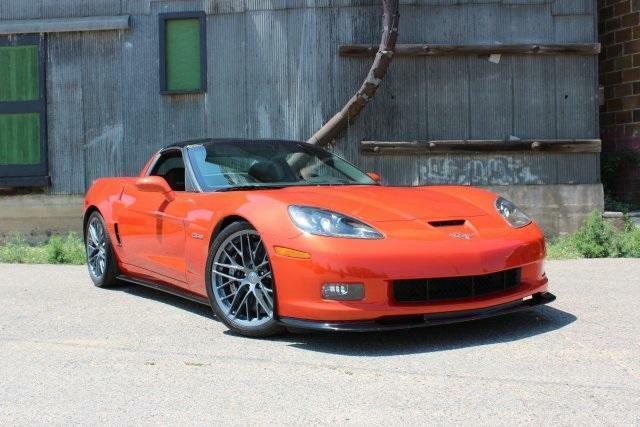 You won't want to miss out on the opportunity to own this impressive Chevy Corvette Z06. Visit Purifoy Chevrolet in Fort Lupton to see this amazing vehicle! We are located just up the road from Denver! 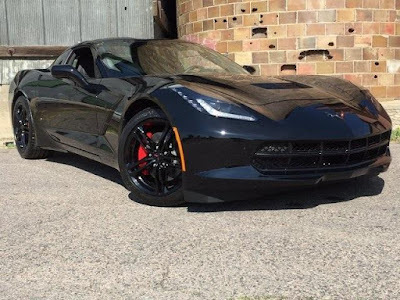 Ready to own a Corvette that will really stand out? 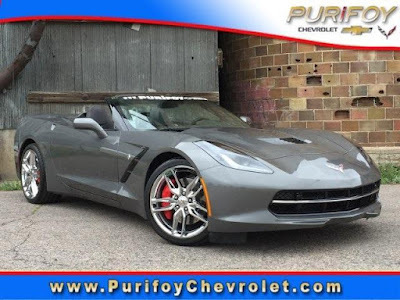 Purifoy Chevrolet has created the perfect Custom Corvette for you! 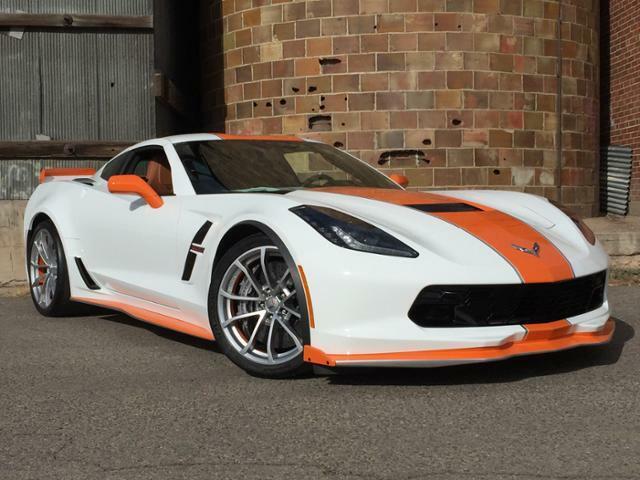 This 2017 Corvette Grand Sport is Arctic White with orange and silver stripes and other accents. It is gorgeous! Plus you get all of the power you expect from Corvette. It features a 6.2L V8 engine to give you powerful performance while also offering excellent fuel economy. 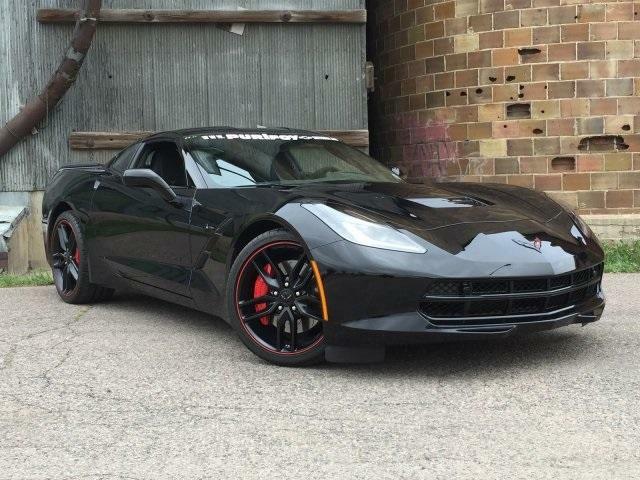 This Custom Corvette includes the 2LT Preferred Equipment Group and the Z07 Performance Package. It is loaded with lots of impressive features and performance. Visit Purifoy Chevrolet in Fort Lupton, just down the road from Denver, and check out this head-turner today! Did we mention that the 2018 Corvette inventory has started to arrive at Purifoy Chevrolet in Fort Lupton? Your Corvette experts at Purifoy Chevy can help you find the perfect Corvette for you-- whether you are looking for a Stingray, Grand Sport, or Z06. Imagine yourself driving home in the gorgeous, head-turning 2018 Chevrolet Corvette Z06 pictured above! Visit our Denver area Indoor Corvette Showroom today and let us show you all the exciting features of the 2018 Corvette! 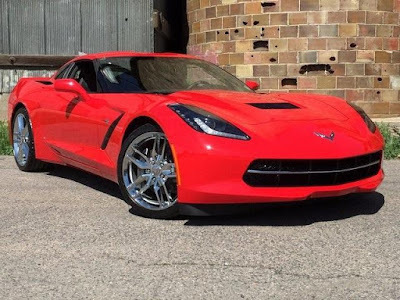 Here at Purifoy Chevrolet in Fort Lupton, Colorado we still have some brand new 2016 Chevrolet Corvettes in stock, including the gorgeous Corvette pictured below! 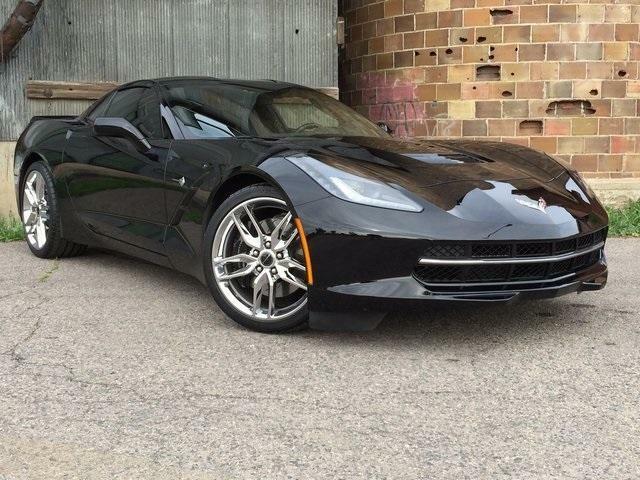 If you want a new Corvette at an amazing price, one of these is perfect for you! Both are currently on sale AND ready for you to drive home! Stop into Purifoy Chevrolet today to check them out! Here at Purifoy Chevrolet in Fort Lupton, Colorado we have this gorgeous and eye-catching gently pre-owned 2011 Chevrolet Corvette Z06 for sale today! For less than $55,000, this orange Corvette has less than 6,000 miles on it AND has a powerful 7.0L V8 SFI engine paired with a 6-speed manual transmission. Together they will deliver an estimated 15 MPG city/24 MPG highway! You won’t be disappointed with the features equipped on this beautiful Z06 either. 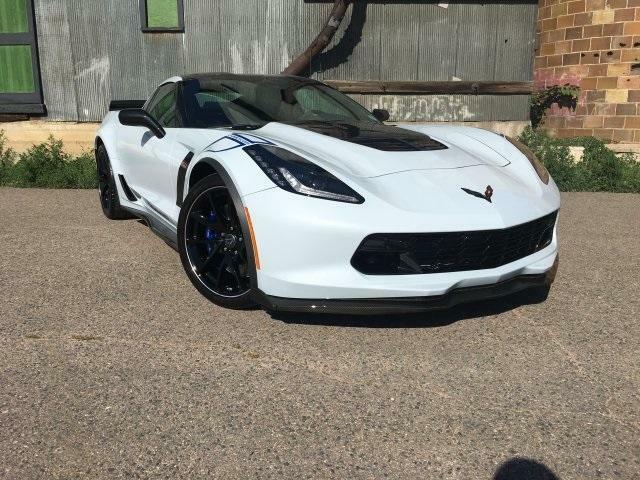 Some of the great features on this Z06 include CFZ Carbon Fiber Package, power seats, leather seats, Bluetooth, Bose Audio System, memory package, SiriusXM Radio, and many more! 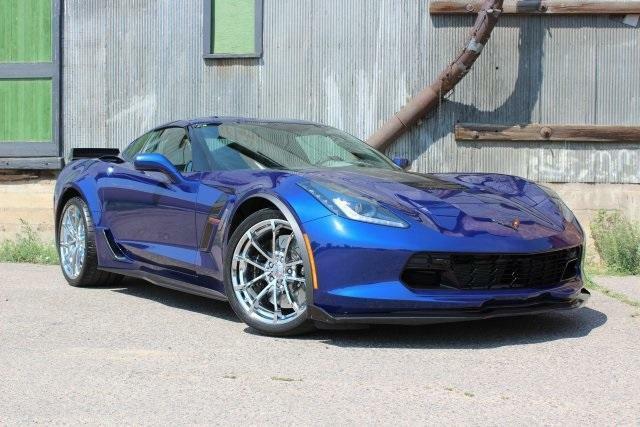 Stop into Purifoy Chevrolet near Denver today to check out this fantastic 2011 Chevrolet Corvette Z06. Take a test drive and see how much fun driving can be! 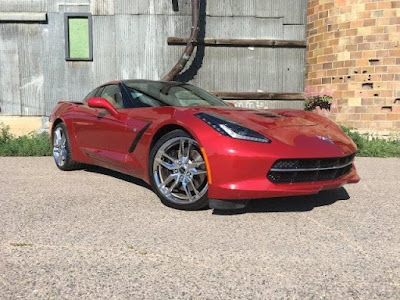 Here at Purifoy Chevrolet in Fort Lupton, Colorado we currently have this gorgeous gently used 2015 Chevrolet Corvette Stingray 3LT in our inventory! This Stingray has a 6.2L V8 engine and is paired with an 8-speed paddle-shifter automatic transmission to help deliver an estimated 17 MPG city/29 MPG highway! This Corvette is priced to sell at less than $50,000 and has less than 10,000 miles! You will be impressed at the wonderful comfort and advanced technology features at such an amazing price! Some of these features include a Memory Package, navigation, leather power heated and ventilated seats, surround sound audio system, performance data and video recorder, remote vehicle starter system, Bluetooth, and so much more. This is a must-see vehicle! Stop into Purifoy Chevrolet today to see this impressive Corvette. 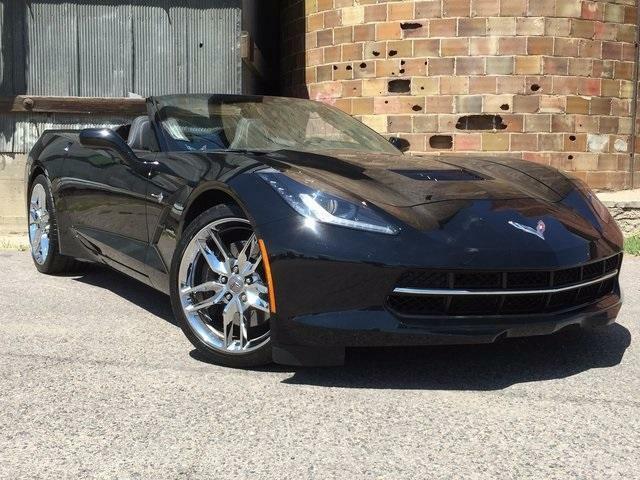 We have a great selection of both new and pre-owned Corvettes for you to choose from. 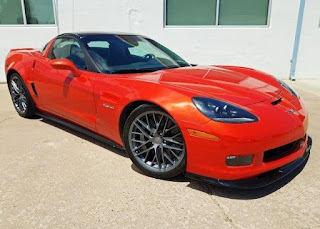 This 2011 Chevy Corvette Grand Sport is ready for a new home! It has the powerful 6.2L V8 engine with a 6-speed paddle-shift automatic transmission. The sunny yellow exterior is a perfect match to the beautiful Colorado sunshine! Enjoy that sunshine with the 1-piece removable body-color roof panel. Other features include OnStar, theft-deterrent system, 7-speaker audio system, chrome aluminum wheels, automatic temperature control, and dual mode exhaust. Visit Purifoy Chevrolet in Fort Lupton near Denver to see this low-mileage beauty in person. 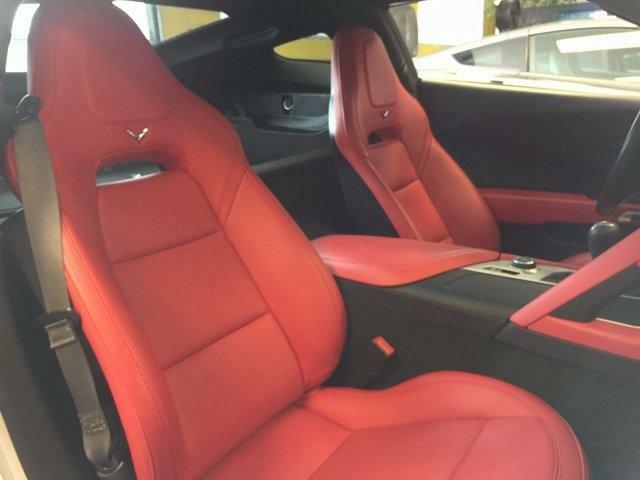 Let our Corvette experts show you all the impressive features you can enjoy when you drive this 2011 Corvette home! The 2018 Chevrolet Corvette inventory is now arriving at Purifoy Chevrolet in Fort Lupton! The Stingray, the Grand Sport, and the Z06 have all been upgraded for the 2018 season and are each a fantastic performance car option! Each of these models has a coupe and a convertible version plus all are RWD. Each of these models is equipped with a 6.2L V8 DI engine plus Variable Valve Timing. Chevrolet MyLink® with 8" diagonal Color Touch Screen and Navigation, SiriusXM® Satellite Radio, and many more. With a performance vehicle, safety is very important. Each of the 2018 Chevrolet Corvette models has great safety features including rear vision camera, curb view cameras, OnStar® 4G LTE and built-in Wi-Fi® hotspot, performance traction management, active handling stability control, and more. Stop into Purifoy Chevrolet in Fort Lupton, just down the road from Denver, today to check out one of these beautiful Corvette models today! Need a Body Shop For Your Corvette? Are you looking for a quality body shop to work on your Corvette? The Purifoy Chevrolet Body Shop is the place for you! We know Corvettes! They are our passion! We regularly make our own Corvette custom creations in our Denver area Body Shop. From custom paint (like that pictured above) to collision repair, we have the tools and skills needed to provide you with an amazing end result. 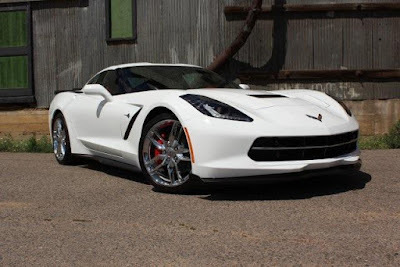 Visit Purifoy Chevrolet in Fort Lupton and let us know what you require for your Corvette. Our Body Shop staff can explain the options for your collision repair or customization. 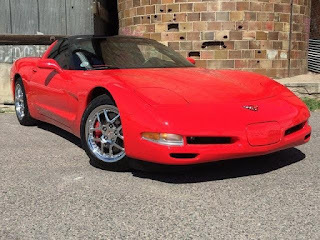 This eye-catching red Corvette is the perfect way to enjoy the many benefits of Corvette while sticking to a budget. 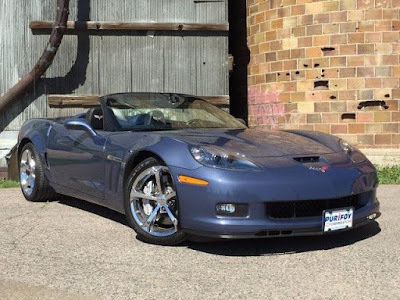 It is a well-cared-for Corvette with just over 40,000 miles....pretty impressive for a 2004! It is priced to sell today at less than $23,000! On this sporty Corvette you will enjoy a 5.7L V8 with Pro Charger. That is paired with an efficient automatic transmission. It also features a one-piece removable roof panel and 17" alloy wheels. 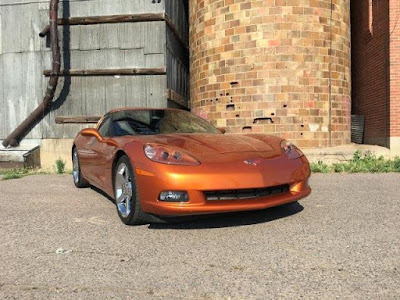 Visit Purifoy Chevrolet in Fort Lupton, just down the road from Denver, today and let us introduce you to this 2004 Chevrolet Corvette. There are so many features you will enjoy while cruising around in this beauty! 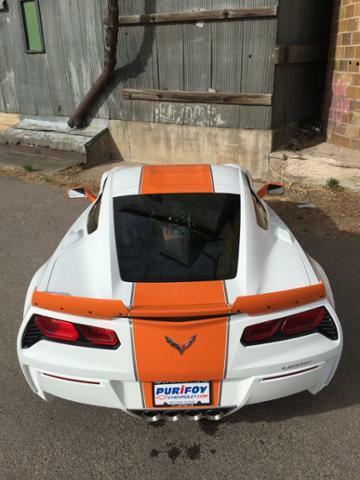 Don't miss out on this amazing custom Corvette from Purifoy Chevrolet in Fort Lupton. 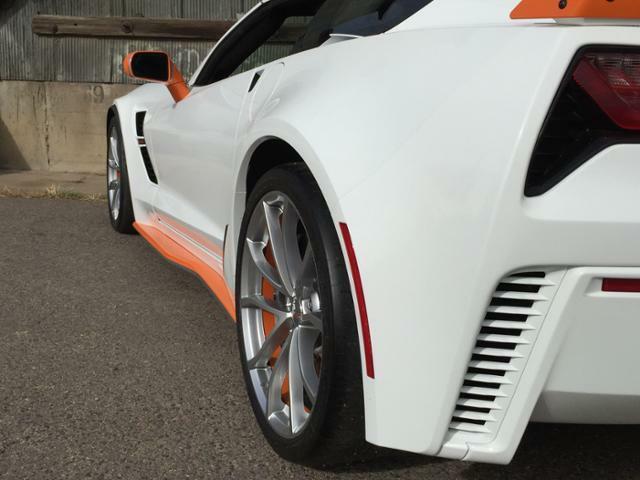 We started with an eye-catching Arctic White 2017 Corvette Grand Sport then our body shop added orange and silver accents, including a large orange stripe and small silver stripes down the center. The orange and silver accents on the front and side skirts really stand out! Though no performance modifications were made to this Chevy Corvette, it features the powerful performance of the 6.2L V8 engine. There are plenty of exciting features to make driving this beauty a super experience too. 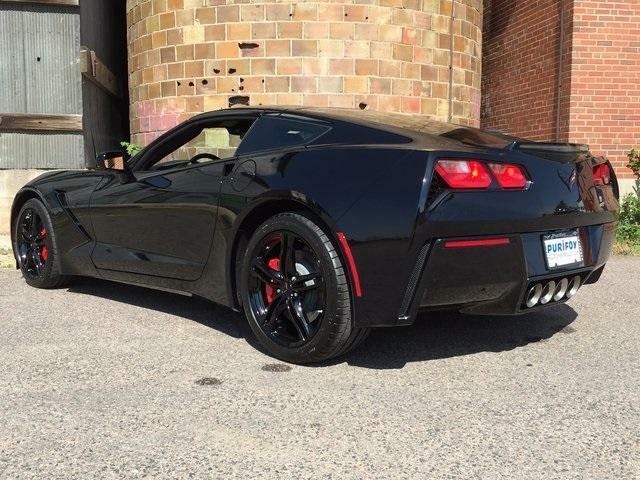 It features the 2LT Preferred Equipment Group, Z07 Performance Package, Memory Package, Performance Data & Video Recorder, and Navigation System. Visit Purifoy Chevrolet, just down the road from Denver, today for more information on this custom Corvette. Pictures just do not do it justice! 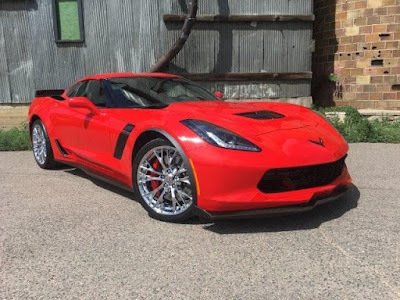 If you are looking for an amazing deal on a gently pre-owned Corvette, visit Purifoy Chevrolet near Denver for this beauty! 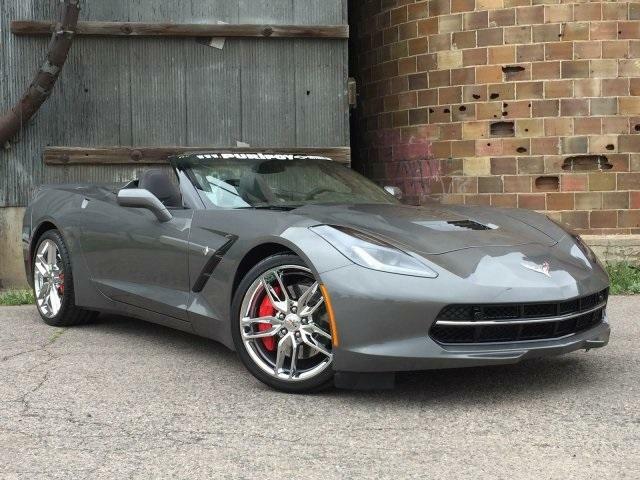 This 2011 Chevy Corvette Z06 with CFZ Carbon Fiber Package is pristine! It has about 6000 miles on it. With this head-turning Orange Z06, you will get the power and efficiency of a 7.0L V8 SFI with 6-speed manual transmission. 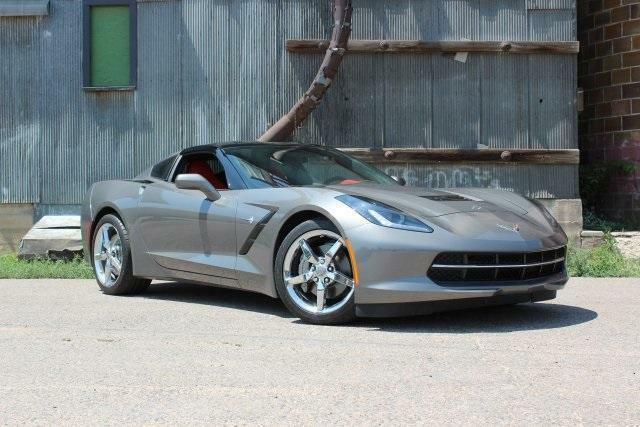 Visit Purifoy Chevrolet in Fort Lupton to learn more about this gorgeous Corvette! Just imagine cruising around in this amazing Corvette! Purifoy Chevrolet in Fort Lupton, Colorado offers some great genuine Chevrolet accessories for your Chevrolet Corvette! On our online store, you can choose between Chevrolet accessories and associated accessories which are offered by reputable third-party manufacturers. Remember to look for the dealer offers at checkout! Our online accessories catalog makes it easy for you to find and purchase your accessories! So personalize your Corvette today! We have a remaining NEW 2016 Chevy Corvette Stingray Z51 for sale at Purifoy Chevrolet in Fort Lupton. You can save big on this 2016! You get all the expected power and amazing features of the Corvette for $10,000 off MSRP! Visit our Indoor Corvette Showroom near Denver to see our huge selection of new and pre-owned Corvette models. We know you will find something perfect for your summer cruising! This low-mileage 2011 Corvette Grand Sport is priced to sell at less than $38,000! It has a fuel-efficient 6.2L V8 SFI that will deliver an estimated 16 MPG City/ 26 MPG Highway. This is paired with a 6-speed paddle shift automatic transmission. Features include dual mode exhaust, chrome aluminum wheels, and automatic temperature control. Visit Purifoy Chevrolet in Fort Lupton to see this bright and sunny Corvette. This will definitely turn heads! We are just down the road from Denver and definitely worth the drive! 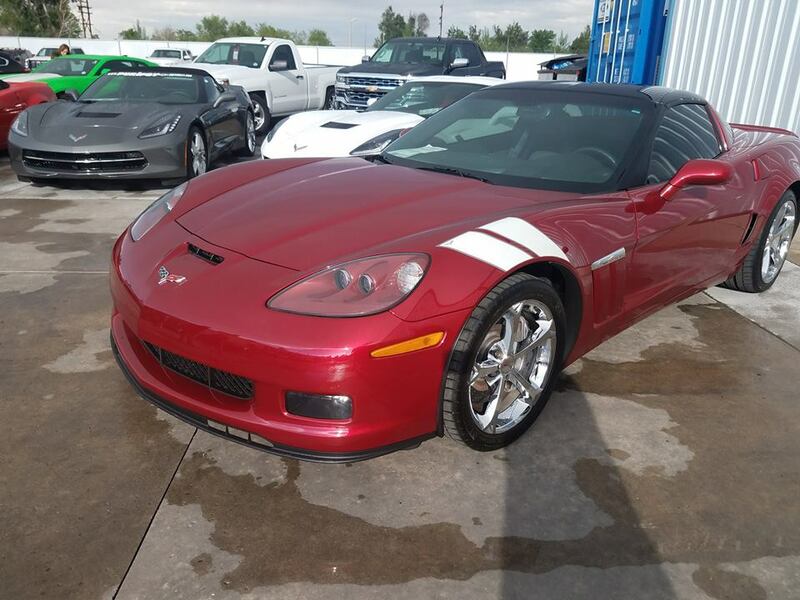 Purifoy Chevrolet in Fort Lupton, Colorado has for sale this gently used 2007 Chevrolet Corvette! For less than $27,000 PLUS with less than 40,000 miles, this orange sports car is perfect for you! Equipped with a 6.0L V8 engine, you will get an estimated 18 MPG city/28 MPG highway – perfect for summer cruising or a trip through the Colorado mountains! Plus, this Corvette has great features including heated power seats, Bose sound system, 6-speed automatic transmission with paddle shifters, SiriusXM Radio, traction control, head-up display, magnetic selective ride control, and more! 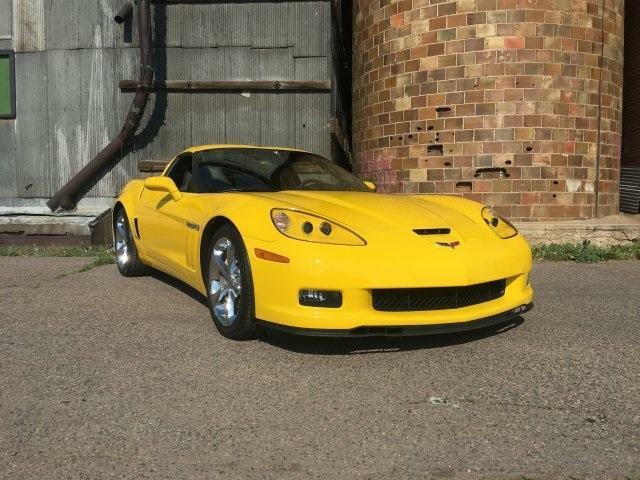 Stop into Purifoy Chevrolet today to view our selection of pre-owned Corvettes (including this one). Pick your favorite and take it for a test drive. 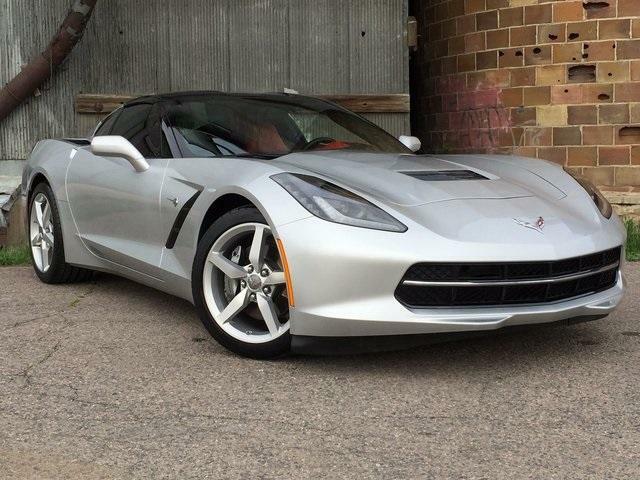 One drive in this fun-to-drive Corvette and you will be eager to drive it home. Purifoy Chevrolet, just down the road from Denver, has two 2017 Chevrolet Corvette Stingray sports cars in our inventory right now! Both models are currently on sale and you can save over $5,000 on purchasing this brand-new sports car! Equipped with a 6.2L V8 engine and manual transmission, you can expect to get an estimated 16 MPG city/25 MPG highway fuel economy. These Corvettes are both loaded with innovative features. This includes features such as Chevrolet MyLink, Bose 9-speaker sound system, SiriusXM Satellite Radio, OnStar with 4G LTE Wi-Fi, Chrome Badge Package, keyless open and start, rear vision camera, and many more. Stop into Purifoy Chevrolet to learn more about our entire selection of the sporty 2017 Corvette. We have a great variety to choose from in our Indoor Corvette Showroom in Fort Lupton. 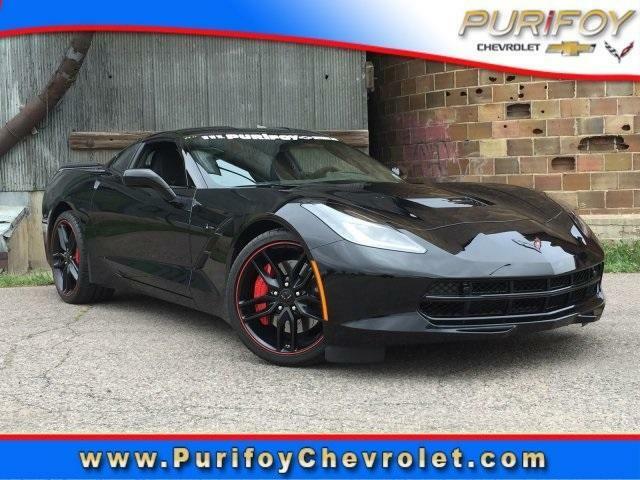 Whether you are looking for a new or used Corvette, you will find the perfect one at Purifoy Chevrolet. Purifoy Chevrolet in Fort Lupton, Colorado currently has this 2004 Chevrolet Corvette for sale – and it is the perfect sports car for a summer drive! This 2004 has less than 41,000 miles and is equipped with a 5.7L V8 engine which will get you an estimated 18 MPG city/25 MPG highway! There are many amazing features on this eye-catching red Corvette! They include a Bose speaker and amplifier system, removable roof panel, tire pressure monitoring system, heated powered outside mirrors, power seat adjusters, keyless entry, and more. Visit the Purifoy Chevrolet Indoor Corvette Showroom in Fort Lupton near Denver to see this gorgeous Corvette plus our great variety of new and pre-owned Corvettes. Purifoy Chevrolet in Fort Lupton would like to wish everyone a Safe and Happy Memorial Day! And a BIG Thank You to all who have served our great country! Have you seen the newest Purifoy Chevrolet Custom Corvette?? It's a beauty! 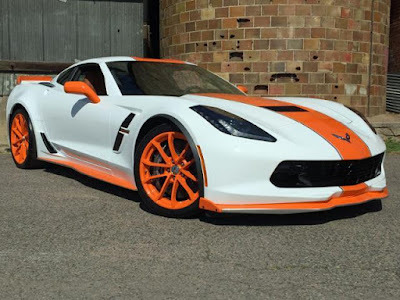 This 2017 Chevy Corvette Grand Sport is decked out in custom orange and silver paint accents. That includes a large orange stripe down the center with a small silver accent stripe. So eye-catching....it is sure to turn heads! This Corvette comes with all of the expected power and features too. It features the 2LT Equipment Group, Z07 Performance Package, navigation system, and performance data & video recorder. This spectacular Custom Corvette needs to be seen to be truly appreciated. Visit the Purifoy Chevrolet Indoor Corvette Showroom in Fort Lupton today! We are just down the road from Denver and definitely worth the drive! Purifoy Chevrolet, your Denver area Corvette headquarters, is down to our last two new 2016 Chevy Corvette Stingrays! These vehicles are both Corvette Stingray Z51 3LT models. That means they are packed with amazing power and super features! They have the powerful yet efficient 6.2L V8 engine and automatic transmission combination. And they are both priced to sell! This Black Corvette Z51 offers Black Suede Design Package, Carbon Flash Badge Package, Custom Leather Wrapped Interior Package, Memory Package, Sueded Microfiber-Wrapped Interior Trim Package, and Wing-Style Spoiler with Wicker Package. This Shark Gray Metallic Stingray Z51 offers Custom Leather Wrapped Interior Package, Memory Package, and Sueded Microfiber-Wrapped Interior Package. Visit the Purifoy Chevrolet Indoor Corvette Showroom in Fort Lupton to see these Corvettes today. While you are here check out our impressive selection of both new and used Corvettes to find the perfect one for you! Purifoy Chevrolet in Fort Lupton, Colorado has this beautiful 2014 Chevrolet Corvette Stingray for sale! This well-maintained, clean CarFax vehicle has less than 24,000 miles on it for less than $48,000! getting on this 2014 Corvette Stingray! The impressive features include power heated leather seats, Bluetooth, SiriusXM Radio, traction control, navigation, removable transparent roof panel, Bose audio with 10-speaker surround sound and many more. Stop into Purifoy Chevrolet, just down the road from Denver, today to learn more about this Corvette. You can also check out our entire selection of new and pre-owned Corvettes in our Indoor Corvette Showroom. With our great selection, you are sure to find the perfect Corvette for you! 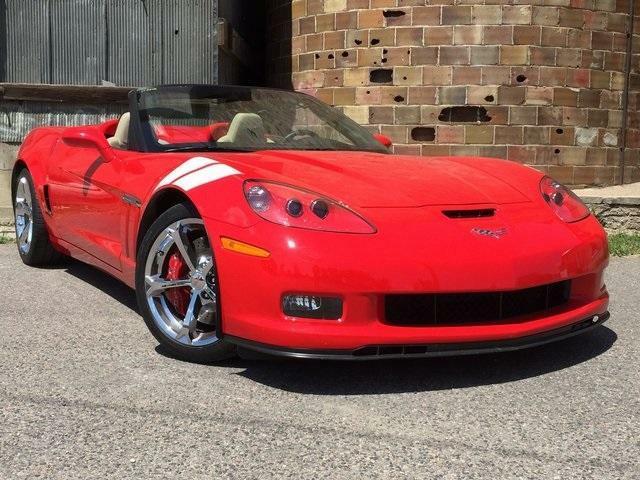 This Corvette Grand Sport is an amazing option for anyone looking for a fun summer drive! The 6.2L V8 engine is paired nicely with a paddle shift automatic transmission. Lots of power without sacrificing fuel economy on this gorgeous Supersonic Blue Metallic Corvette. Put down the power convertible top for an unforgettable cruise through the Colorado mountains! 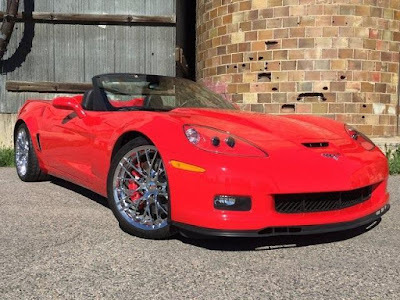 This Corvette is loaded with impressive features too. Dual mode performance exhaust, navigation, head-up display, and Bose Premium 9-speaker sound system are just a few of these. Plus, the Memory Group, Automatic Crash Response, 6-way power driver seat and High-Intensity Discharge Headlights are all super features you will appreciate. 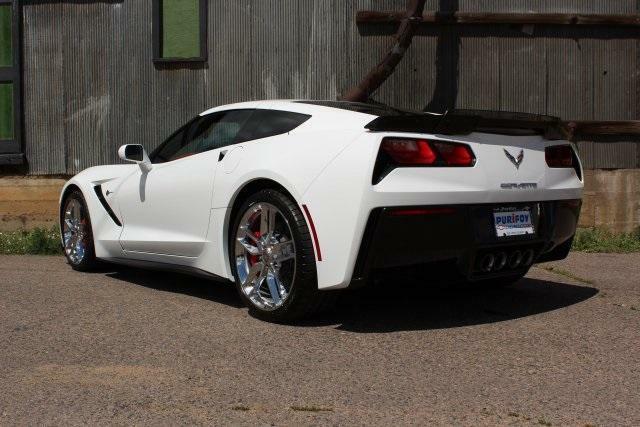 Visit Purifoy Chevrolet in Fort Lupton, Colorado, just a short drive from Denver, and check out this beauty. 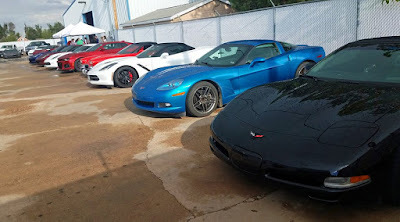 We also have many other new and gently used Corvettes that you might be interested in. We are sure you will find the right Corvette for you at our Indoor Corvette Showroom! 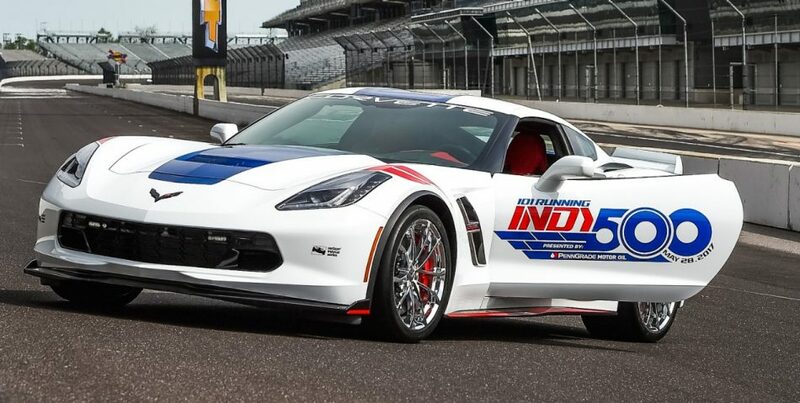 For the 14th time in Indy 500 history, the Corvette will be the Pace Car! No other vehicle has served as the pace car more! The Corvette Grand Sport, displaying unique Indy 500 graphics, can be seen on May 28th during the 101st Indianapolis 500. Summer is coming -- so it is time to spiff up your Corvette and get it ready for cruising around and hitting the car show scene! Purifoy Chevrolet can help you find the perfect accessories for your Corvette. We have many authentic GM accessories stocked at our Service and Parts Department. Or you can place your order with our convenient online store. Using authentic accessories means they were made for your specific vehicle which is so important. Stop by Purifoy Chevrolet in Fort Lupton, just down the road from Denver, or contact us today to find out more about the great selection of Corvette accessories.